Lead by Learning: Can We Please Start Innovating? One morning on my way to work, a man sitting opposite to me in the train caught my attention. He was drawing stuff in his sketchbook which I recognized as an organisational chart. Normally I am able to control my nosiness in such a public setting, or at least know how to conceal it well, but that morning I caught myself fascinated by his illustration of, what I consider to be, an organisational defect. For those who are not familiar with the concept, an organisational chart or organigram is a graphical representation of relations between people in an organisation, often to illustrate the hierarchy. Operating units or positions are commonly pictured as text boxes. The connecters between them show a hierarchical relationship or co-workership. My fellow passenger was in fact drawing a straightforward, conventional organigram. Being in the HR business, this alone was enough to get me interested. But then he did something that almost made me intervene and to this day is puzzling me. He drew a square around two boxes as if he was grouping them, and then named that section 'Innovation'. It appeared that these two units or positions were made responsible for the organisation’s innovative power, maybe as of that very moment. Perhaps later that day he was going to tell someone, somewhere in some organisation, to start being innovative. That day, I would not want to have been either of them. Sender nor receiver. Why wouldn’t you assign innovation as a task to a unit or position? Let me start by saying that I do not have a magic formula on how you should innovate or 'organize' innovation. I could tell you that many billion-dollar ideas have originated in suburb garages, but it does not suggest you should occupy your garage. 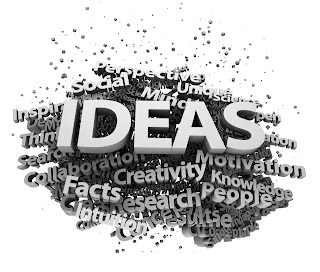 And if I would tell you that research has shown that individuals are equally, if not more, productive in coming up with brilliant ideas by themselves than would they have been put together in a brainstorm group, I am not saying you should dismantle your innovation teams. Chances are in fact that many of you will try to proof me wrong, saying a recipe does exist. Showing me examples of innovation teams that have transformed companies into the market leaders they are today. And consultancy firms would mind-boggle me with statistics of success rates in Fortune 500 companies that have used their innovation roadmaps. I can however, tell you that I have learnt that people have a natural tendency to do things better and faster by continuously challenging the status quo. If you have read my previous post, The War for Talent Hoax, you could consider that essentially everyone has such a gift. I have seen ideas sprout out of nowhere or grow after having been planted as seed. And sometimes they came from one single creative mind, where at other times they came from a collaborative thought. Some have hit immediate success whereas others needed to be reshaped to turn around failure. In some settings, innovation can only excel with unlimited resources whereas innovators in India have shown resourcefulness amid serious constraints with a concept they call Jugaad (pronounced “joo-gaardh”). It is therefore my strong belief that innovation is a universal, organic experience rather than an oiled machine. Is there anything leadership can do to propel innovation? Yes, leaders should get out of its way! Their efforts of organising innovation are equally helpful as harmful, quite often preventing people from being creative as management comes with restrictive rules. Then again, getting out of its way does mean that leaders should create an environment without any barriers, while working with local economic realities and constraints. With this, leaders are implicitly telling their other workers that they do not have to be innovative in their work. Again, innovation is being addressed in isolation from the majority population. And although diversity assumes to increase the variety of insights, members tend to be more reserved when it involves a group of unequals, afraid that some of their ideas might be found ridiculous. Projects automatically assume a set of rules, which may act restrictive when applied to the process of innovation. For instance, innovation does not have clear, tangible deliverables. The goals are rarely clear from the beginning and may need to morph significantly along the process. Deadlines would probably even cause what you might call an 'inventor's block'. As said, I am not claiming that if you have organised innovation in one of these ways, there is no chance for success. I am merely advocating for a different way of leading innovation. One that is more inclusive. Leading innovation should not be about managing those who are tasked with it, but about taking away barriers for everyone to be innovative. This alternate approach aims to inject innovation in the genes of the organisation, creating an innovative culture. Next time, I will tell you more about the lessons I have learnt on how to take away these barriers. Or you can let me know yours by commenting on this post right now!